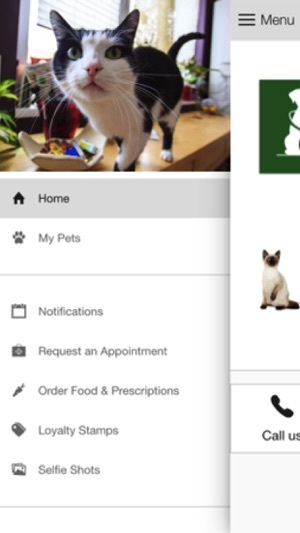 This app is designed to provide extended care for the patients and clients of Cascade Hospital for Animals in Grand Rapids, Michigan. 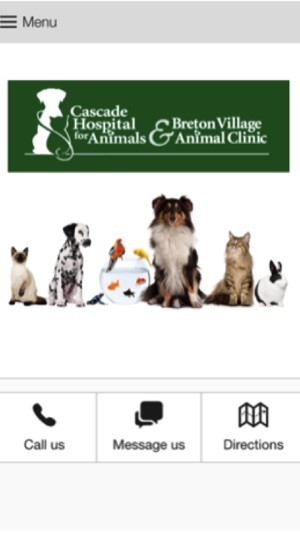 Receive notifications about.....hospital promotions, lost pets in our vicinity and recalled pet foods. Since 1955, we have dedicated ourselves to our mission statement. 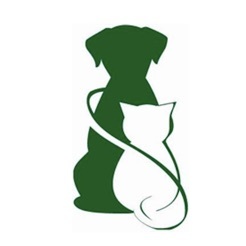 Cascade Hospital for Animals & Breton Village Animal Clinic have been providing compassionate quality care to pets and the humans who love them in the Grand Rapids, Michigan area. Our focus has been, and continues to be, on providing the best available full service veterinary medical care to our beloved patients while also offering superior service to our valued clients. We understand the precious bond you share with your animal companion. We are pet owners first, which is why we treat each patient as if they were our very own. It is something each one of us shares with our own furry, feathered or scaly friends. Because we are pet parents too, it is only natural for us to treat you and your loved one the way we would want to be treated – with respect, compassion and personalized care. It is what we pride ourselves in and something you simply will not find anywhere else. What sets us apart from other practices is the unique balance we have struck between exceptional medical care and personal service. We want to provide your pet with modern treatment options but in a way that makes him or her feel safe, comfortable and loved. Our team is friendly, knowledgeable and prepared to deliver the extra special care your companion deserves and you expect. Whether you’re new to the 49546, 49506, Lowell, Ada, East Grand Rapids or Caledonia areas or recently welcomed a four-legged family member or perhaps you’re just searching for an experienced vet that not only offers exceptional care and service, but will treat you and your pet with respect and compassion – look no further than Cascade Hospital for Animals & Breton Village Animal Clinic. From that pat on the head or scratching under the chin to the warmed blankets, soothing tone and gentle touch we use. You’ll know right away that your cherished family friend is in caring, capable hands with us! Stop by any time. We can’t wait to meet you! CASCADE HOSPITAL FOR ANIMALS, P.C.